New Greatest Hits Album: “DREAMS COME TRUE THE URA BEST! Watashi dake no Dorikamu” released on July 7! A new greatest hits album (50 songs), DREAMS COME TRUE THE URA BEST! Watashi dake no Dorikamu, was released on July 7! The 50 song tracks have been determined! 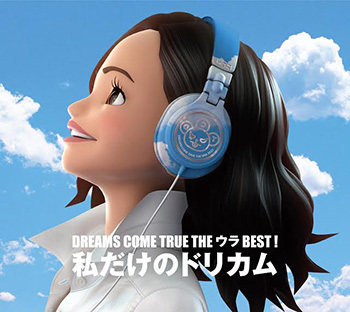 Find out more information on our DCTJoy.Com’s “DREAMS COME TRUE THE URA BEST! Watashi dake no Dorikamu” page!